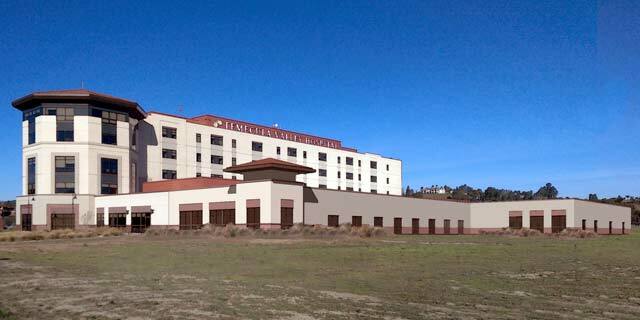 Temecula Valley Hospital is excited to announce it broke ground in April for the hospital's first floor expansion project. A 28,000 square foot addition to the first floor on the east side of the hospital will allow the hospital to expand its cardiovascular, stroke and surgical services. The project will enable the hospital to advance its capabilities of these services to better meet the needs of the community. The expansion project includes two catheterization labs, seven post-anesthesia care unit bays, seven pre/post-operative care bays, a neuro biplane room, an endovascular hybrid operating room, a new CT scanner and a community room for educational presentations and events. Learn more about the project from CEO Darlene Wetton in this podcast.